This site is dedicated to the poetry and essays of Arthur Oesterreicher. 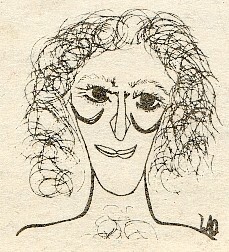 Born in Vienna May 29, 1931, Arthur emigrated during World War II with his parents Jacques and Kaethe via France*, Portugal, and Cuba, arriving in New York in 1941. After graduating from Harvard College in 1952, he served in the US Army. Arthur married Tybee Jacobson with whom he had five children, and a sixth child with Lou Ann Collins. * Jacques, Kaethe and Arthur received visas from the Portuguese diplomat Aristides de Sousa Mendes in 1940. My report on discovering this is here. 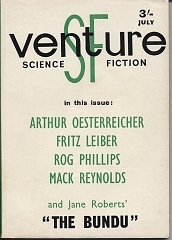 Thanks to Dominic, I now have a copy of the April 1958 issue of The Magazine of Fantasy and Science Fiction, and thanks to Jonesy, a copy of the July 1965 issue of Venture Science Fiction. Both editions include the short story Broken Circuit, written by Arthur Oesterreicher. Questions or comments are welcome. Email the editor.